Recently, a brand new Beefeater opened up in my hometown. Rich and I have been saying for a while that we'll go to visit it but somehow never get around to it. 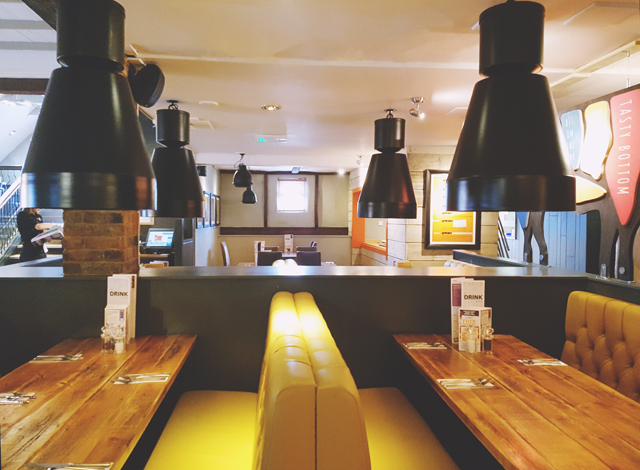 As luck would have it, Beefeater got in touch with me a couple of weeks ago to ask if I would like to visit their newly revamped Balmoral restaurant in Southampton. It's a fair few miles from the one we keep meaning to visit but a Beefeater is a Beefeater, right? 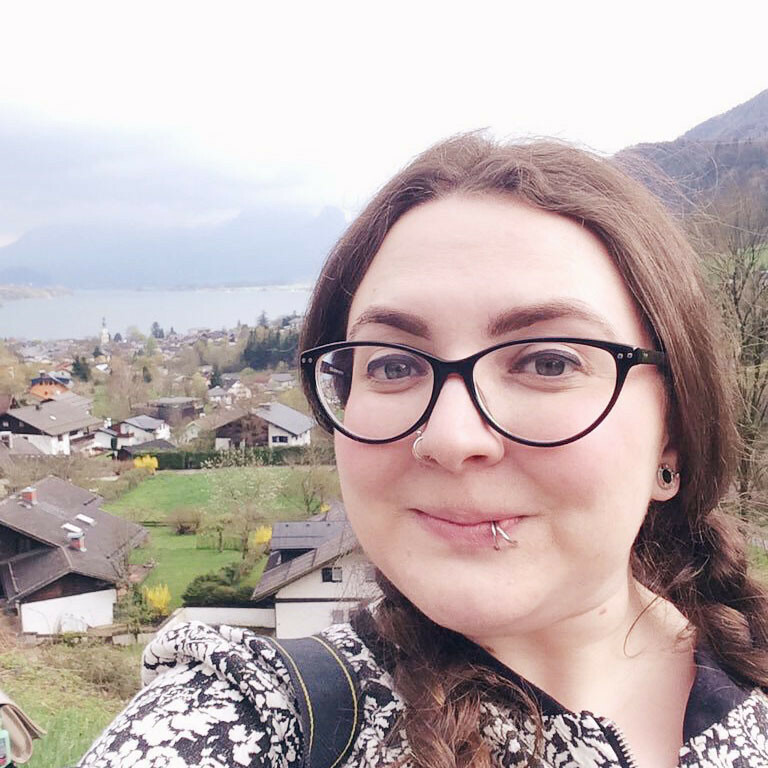 I very happily popped down en route to Ikea for a lovely weekend lunch. 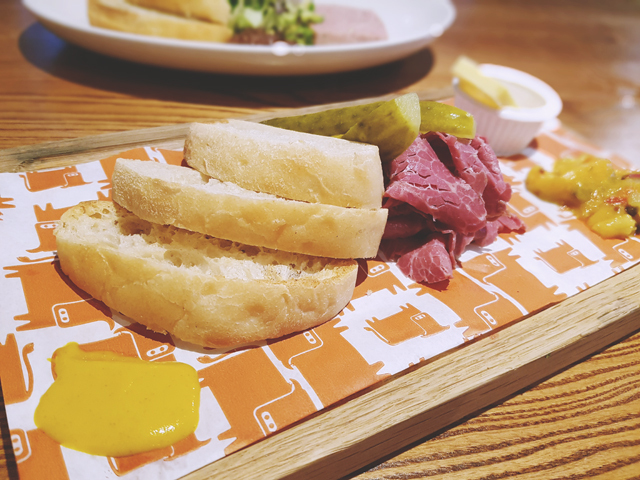 The menu has been updated with some new additions thrown in, such as the Salt Beef Board. How could I resist? It arrived on a wooden plank with thick slices of toasted ciabatta, a dollop of piccallili and English mustard, a couple of sliced gherkins and a heap of thinly sliced salt beef. The beef was only slightly salted, meaning the flavour was rich, and it was perfectly complemented by the pickle and mustard. Although it was a little messy to eat, it was worth every dropped crumb and splash of mustard! Since Beefeater's main attraction is their steaks, I decided to try the 10oz rump steak for my main course. I asked for it rare but it arrived more on the medium size. Perhaps it's just me being fussy because I like my steaks as bloody as possible, but I was expecting it to be a bit more juicy and tender than it was. I found it much chewier than I anticipated but the taste itself was lovely. 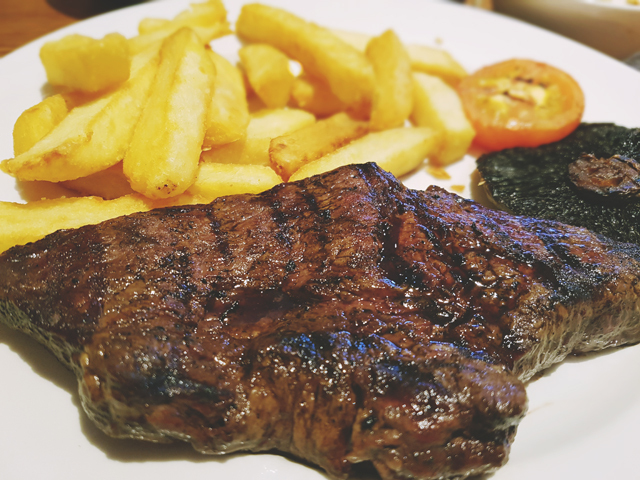 I was given a range of steak sources to choose from, and settled on peppercorn, and it was served with a generous helping of chips that were fluffy on the inside and perfectly crispy on the outside. According to the menu, the chips are unlimited but I was so full by the end that I didn't ask to see if this was true! Despite being stuffed with steak and chips, I did of course save some room for dessert! I was torn between the apple crumble or profiteroles before eventually setlling on the latter. They were served with delicious vanilla ice cream and had the perfect pastry: cream ratio, drizzled with chocolate sauce on top. 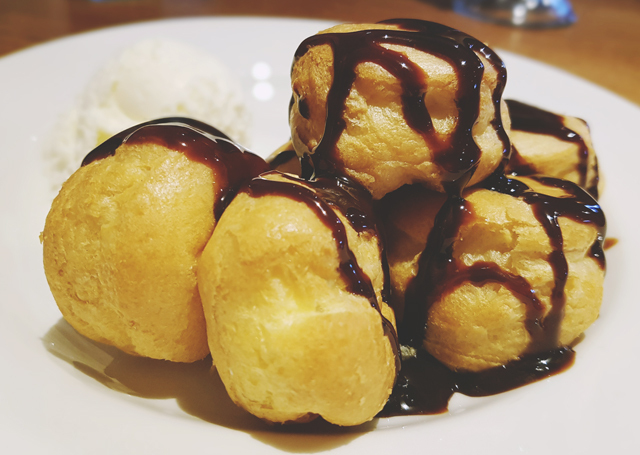 The profiteroles were prepared perfectly so they were chilled but not frozen and were the ultimate ending to a lovely meal. Service was fantastic- friendly and extremely fast. It helped that I was there at 2pm so the restaurant was very quiet but I was still amazed by how quickly each course arrived. 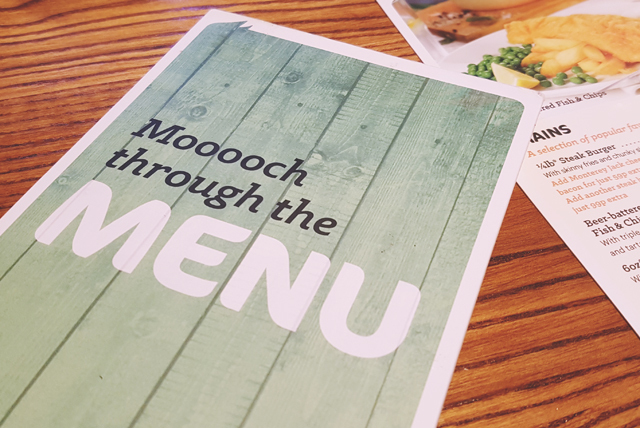 The decor has all the cute, fun touches that I've come to expect from Beefeater, such as the huge wooden cow with funny annotations and the welcoming "hello" sign made to look like grass. This particular branch is in a really handy location too, just off the M27 and a few miles from West Quay. I definitely recommend it if you're looking for a place to eat in the area.